Cayuga County has a labor force of 40,577 and a job growth rate of 29%, which is almost 8% higher than the national average. There are also a number of programs for workforce training. 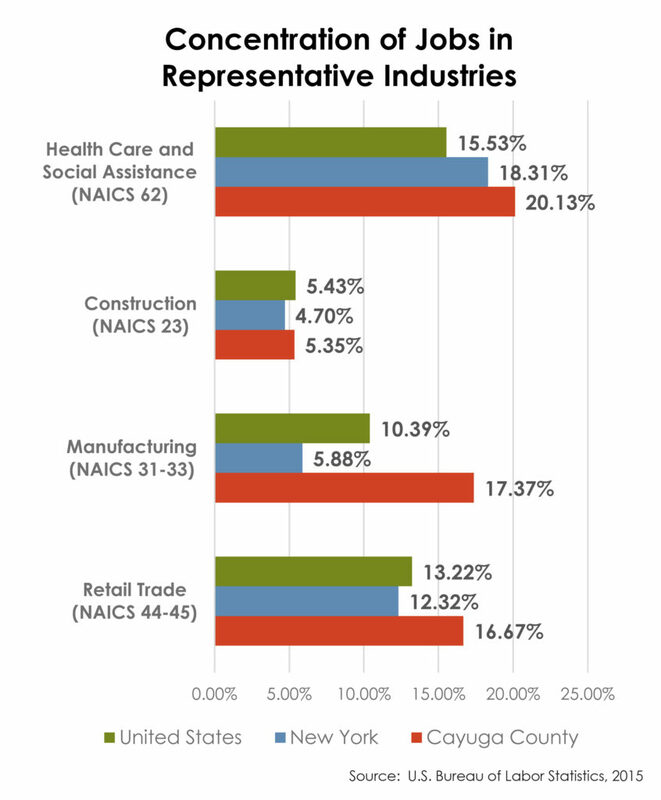 Cayuga County has concentrations in manufacturing and farming that are higher than both the New York and United States rates, which contribute to those sectors serving as the county’s target industries. 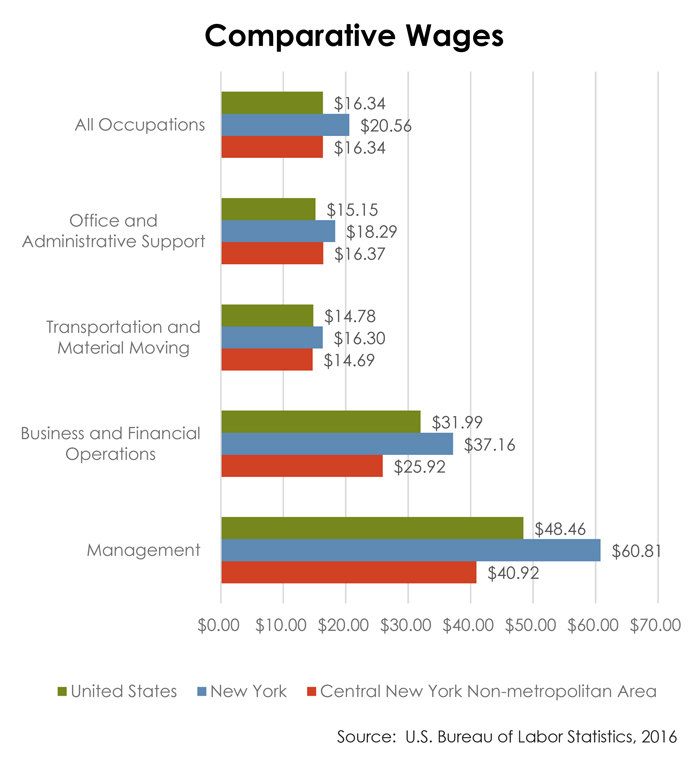 The wages in Central New York, including Cayuga County, are very competitive compared to New York State and the nation as a whole. 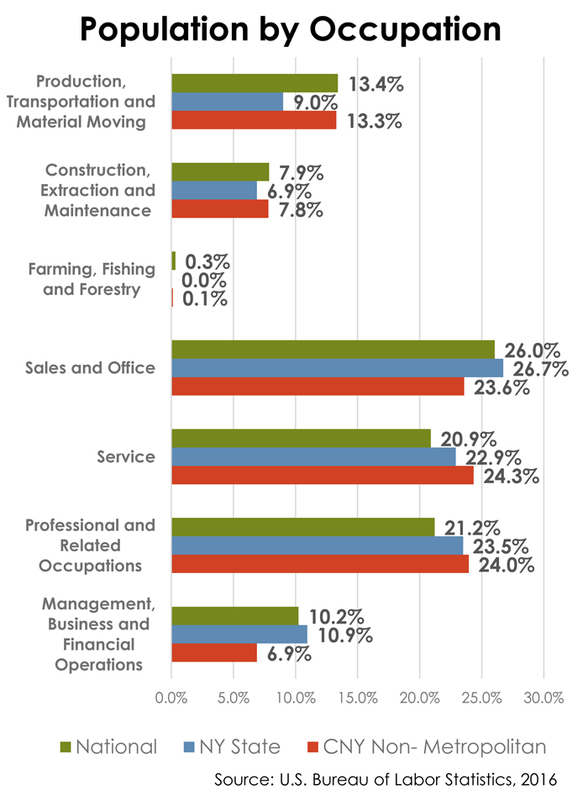 In fact, the median wages in particular occupations are up to 15% lower than the national average. The overall median hourly wage in the region is $15.45, which is 7.5% and 19.5% lower than the national and New York median hourly wage, respectively.